On the beach at Playa del Carmen. And I never had fell better. And free to do what they want to do. They dance on the beach at Playa del Carmen. Woke up on the beach at Playa del Carmen. Growth of any kind is a learning experience. There are bound to missteps, just as there are bound to be great gains and wonderful surprises. We can view obstacles, detours and challenges not as frustrating signs of failure, but as helpful course corrections pointing toward our ultimate success. 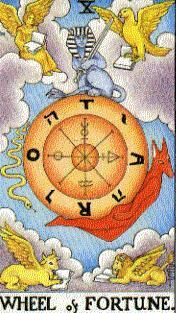 The lesson of the Wheel Of Fortune is to trust the steady current while riding the tossing waves.